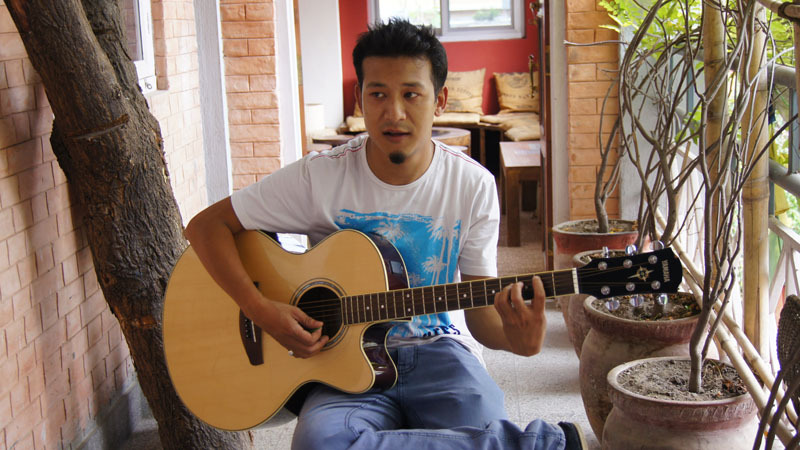 This kind an warm guitarist was born in Lalitpur, known as ‘The Beautiful City’, known for its artisans and artists, where the Kathmandu Jazz Conservatory sits today. Despite his young age, Hson has been playing guitar for more than 10 years now. This Led Zeppelin and Louis Armstrong fan is a usual suspect in the Kathmandu funk & soul scene, playing in bands like OTS and Rhapsody. Hson is a tireless explorer of sound who seizes very opportunity to create fresh sounds.